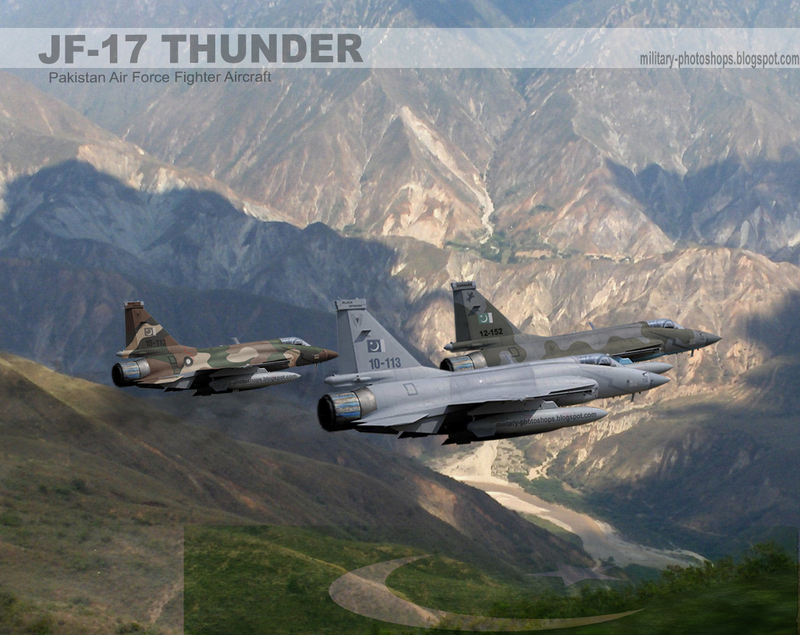 This wallpaper shows 3 Jf-17 from 3 different PAF sqadrons flying low in a close formation . JF-17 Thunder is an advanced, light-weight, all weather, day / night multi-role fighter aircraft; developed as a joint venture between Pakistan Aeronautical Complex (PAC), Kamra and Chengdu Aircraft Industry Corporation (CAC) of China. It possesses excellent air-to-air and air-to-surface combat capabilities. The state-of-the art avionics, optimally integrated sub-systems, computerized flight controls and capability to employ latest weapons provides decisive advantage to JF-17 over adversaries of same class. This, all weather, multi-role light combat fighter has remarkable high combat manoeuvre ability at medium and low altitude. With effective firepower, agility and combat survivability, the aircraft is likely to emerge as a potent platform for any air force. The JF-17 looks very cool in AG colors, Black spiders should go for this scheme. Thankyou very much for ur comment Shoaib. i would certainly try F-22 style camo for jf-17 soon.